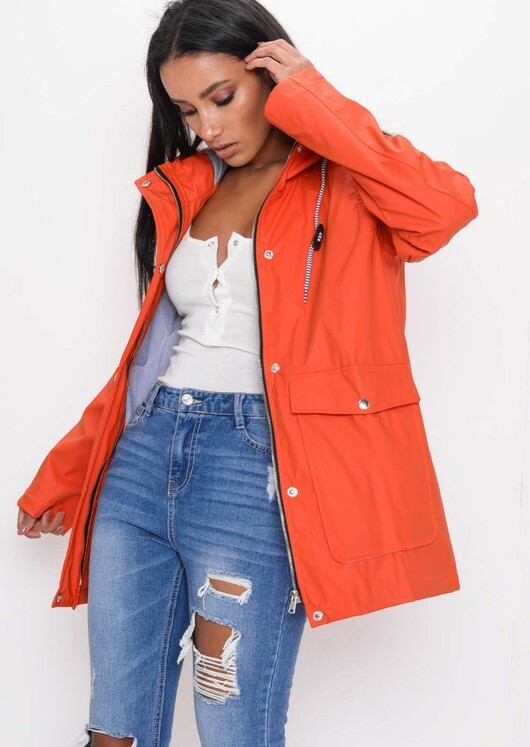 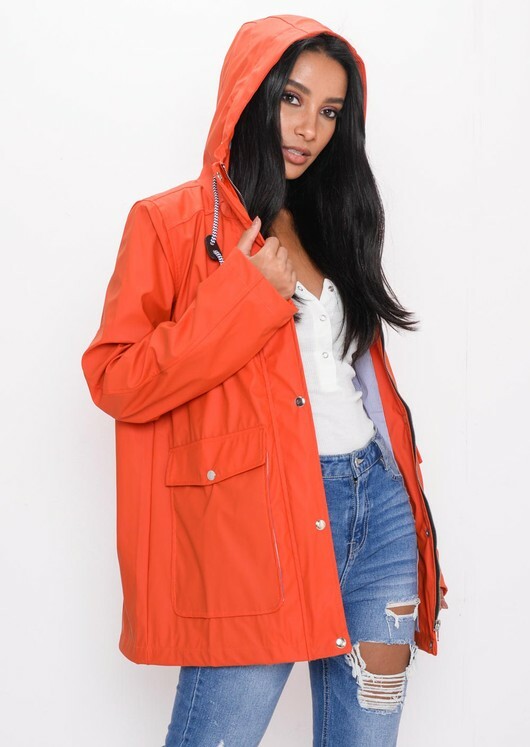 Stay dry and stylish in this orange rain mac. 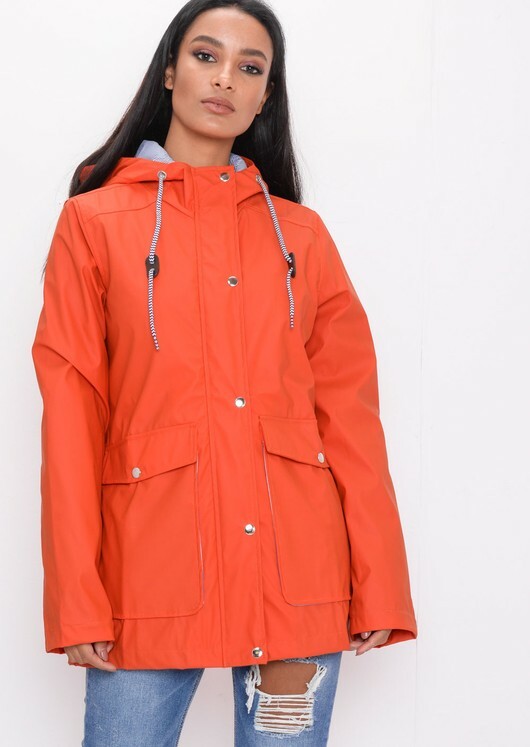 It will be your trusty rain coat staple in the British weather and perfect for your festival needs. 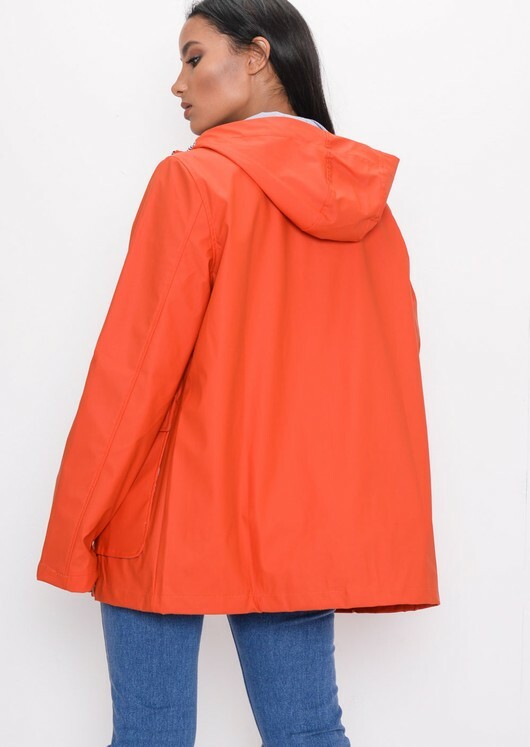 You'll stay dry and comfy with this orange rain mac and look great at the same time.